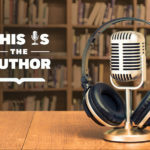 In this special episode of This is the Author we asked, “What’s your recipe for a good story?” Hear Markus Zusak, Kate Inglis, Tyler Reagin, Khalida Brohi, George Packer, Sam Anderson, Ryan North, Beth Comstock, and Glory Edim share their vital ingredients for a good story. 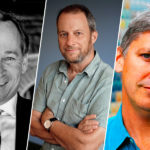 In this episode, meet Gary Pomerantz, author of The Last Pass, George Packer, author of Blood of the Liberals, and Steven Johnson, author of How We Got to Now. Using the lens of sports, culture, technological innovation, and family, these authors explain why journeying to the past is necessary in order to see the present in a new light. And, find out which Hollywood legend is one author’s dream narrator.